Frozen yogurt is often relatively healthy; even the most decadent flavors tend to have less fat than ice cream. However, not all fro-yo is created equal. To be fair, this flavor does have 15 grams less fat than the regular ice cream flavor, but one serving packs 25 grams of sugar. 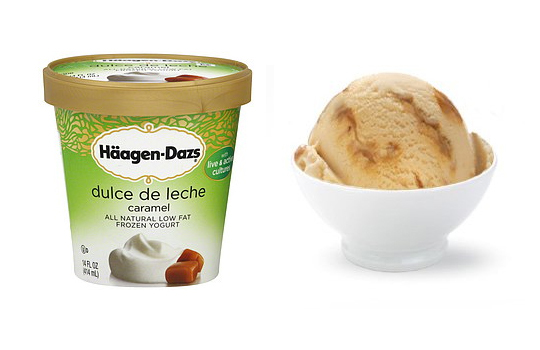 One serving of Dulce de Leche Fro-Yo (1/2 cup) is 190 calories, 2.5g fat, 25g sugar, 35g carbs. Instead, try a brand that offers no-sugar-added options, such as Edy’s. The French Vanilla flavor has only 100 calories, 3 grams of fat, 14 grams of carbs, and 4 grams of sugar in a 1/2 cup serving. Don’t fall for the “whole grain” marketing trick without knowing all the facts. While “whole grain” sounds good, this product doesn’t have nearly the amount of heart-healthy whole grains as products that say “100% whole grain.” Two slices: 220 calories, 4g fat, 420mg sodium, 42g carbs, 4g fiber. Choose this instead: Try two slices of Arnold’s Light line of breads, like the 100% Whole Wheat: 80 calories, 1g fat, 160mg sodium, 5g fiber. Or try the new Deli Flats from Pepperidge Farm. One 100% whole-wheat roll has 100 calories and 5 grams of fiber. 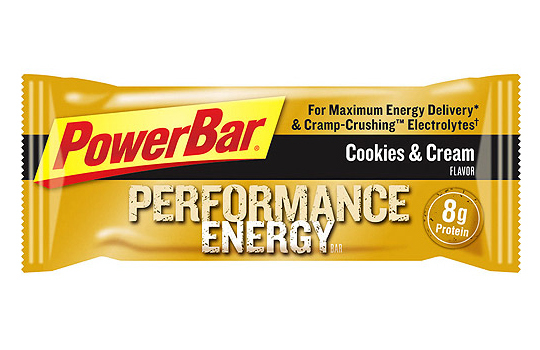 PowerBars are often shaped like candy bars and can taste like them too. This particular PowerBar has only 1 gram of fiber and nearly three-fourths of the upper limit of daily added sugar, so there may be healthier options. (The USDA says to limit added sugar to 40 grams, or about 10 teaspoons, per day.) One bar is 240 calories, 26g sugar, 45g carbs, 8g protein, less than 1g fiber. Choose this instead: Try the PowerBar Harvest line. Made with whole grains, 1 Oatmeal Raisin Cookie bar still has 250 calories, 43 grams of carbs, and 22 grams of sugar, but offers 10 grams of protein and 5 grams of fiber, vitamins, and minerals.